The pressure is on. Every year, students from around the world compete for a limited number of letters granting them entrance to prestigious Ivy League universities. The Ivy League is comprised of the following eight prestigious and historic universities: Harvard, Yale, Princeton, Brown, Dartmouth, Columbia, Cornell, and the University of Pennsylvania. Each school receives thousands of yearly applicants, and consequently, earns its elite status by rejecting the majority of them. 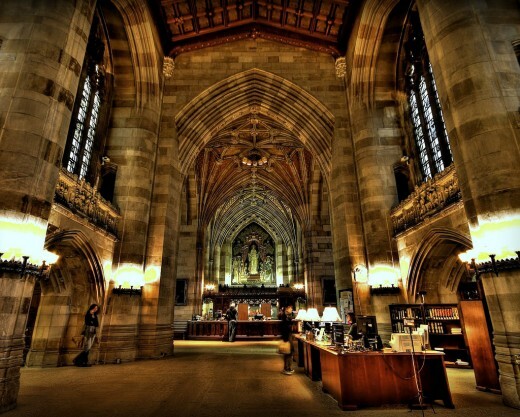 However, contrary to popular belief, there are many ways of entering an Ivy League school. Prospective Ivy League students may choose to apply as entering freshmen (from high school), as transfer students (from another university), or as graduate students. Personally, I plan on applying as a transfer student. With my mind made up, I started researching the process of transferring to an Ivy League university in hopes of finding a secret formula for gaining admission. As my research progressed, I noticed that such a formula does not exist. Admission to schools like Harvard, Princeton, or the University of Pennsylvania is never guaranteed, no matter what one does or how qualified one is. Even so, my research provided me with ways in which any prospective Ivy League student, currently attending a four-year university, can increase his or her chances of gaining admission. Therefore, the best way to increase one’s chances of successfully transferring to an Ivy League school is by understanding the nine admission factors and knowing how to apply each factor in order to create a logical approach towards the application process. With my research completed, I arrived at the conclusion that transferring to an Ivy League school depends on the following nine factors: high school Grade Point Average (GPA), college GPA, extracurricular activities, SAT score, letters of recommendation, the school to which one applies, when one applies, the college essay(s), and whether or not one is a legacy. Admission officers use the factors mentioned above to determine whether or not an applicant is accepted to their prestigious university. These factors not only determine one’s admission, but they also give an insight into the applicant. This can be seen in any Ivy League application. For instance, Columbia University’s application is densely detailed and longer than a regular college application (“Admissions Online”). This is because admission officers want to absorb every bit of information about who the applicant is and what he or she is capable of accomplishing at their institution. This process requires a careful evaluation of the applicant. Therefore, it is vital that I thoroughly explain each factor. To do this, I will start with the most important factors and work my way down to the least important ones. From what I found, my research has proven that the first two factors of high school and college GPA are absolutely crucial for admission to an Ivy League school. When I first started researching the process of transferring into the Ivies, I was certain that my high school grades were insignificant. I remembering thinking, “high school is over, I am a college student now, why would my high school grades account for anything?” The truth is that even though high school is over, my transcript did not go anywhere. This was a rude awakening, which can be best described with the words of Pulitzer Prize winner Eric Freedman, “your high school record may come into play, no matter how well you’re doing at your current institution” (124). This is because the admission officers will only have a student’s college transcript for the past two or three semesters to go on. This is not a lot of academic information to judge a student by; and so, admission officers tend to explore an applicant’s academic success, or lack thereof, from his four years of high school. Although an applicant’s high school GPA is highly regarded by admission officers, one’s college GPA should not be overlooked. 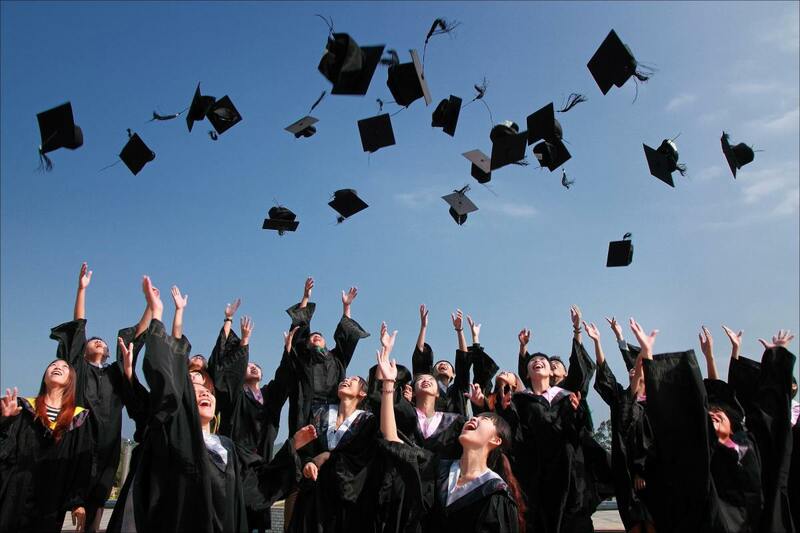 Most universities require that applicants have a minimum college GPA, which varies based on the school and major. However, my online survey of students that transferred from four-year universities to Ivy League schools informed me that eighty percent of them had a 3.5 college GPA before completing their applications. This statistic is common, because Ivy League schools seek the most accomplished students. Yet, a student that has a strong college GPA along with a surprisingly low high school GPA (anything below 3.0) might begin doubting his chances of acceptance to an Ivy League university. The fear of rejection is common, but even if an applicant performed poorly in high school, his chances still remain fair. As Freedman put it, “each institution has its own academic and nonacademic criteria for evaluating transfer applicants” (124). This means that one Ivy League university might see a below-par high school GPA as an excuse to dismiss the applicant, while another Ivy League university might look at an un-impressive high school GPA, along with an outstanding college GPA, and immediately recognize the academic growth of the respective applicant. Hence, if a prospective Ivy League student maintains a substantially high college GPA, preferably above 3.5, the chances of that student transferring to an Ivy League school remain fair. High school and college GPAs are two very important admission factors, but how does an admission officer decide between two students that have the same exact GPAs? To answer this, we must take into account the third admission factor. Since Ivy League schools have thousands of yearly applicants, they sometimes encounter very similar transcripts. As a result, admission officers compare applicants not only based on academic achievements, but also on participation and leadership in extracurricular activities. Even though many students are aware of the importance of extracurricular activities, very few know which activities are deemed “impressive.” To further elaborate, Jennifer Harper, of the Washington Times, lists participation in the newspaper staff, along with participation in a “clearly defined hobby or club” as extracurricular activities that Ivy League schools look for in applicants (1). Still, my online survey produced a variety of answers. For instance, when transfer students attending Ivy League universities were asked, “Which extracurricular activities did you participate in during your freshmen year of college?” most responded with the following activities: student government, debate, Political Science Club, Psychology Club, club sports, Greek life, and community service. The above-mentioned activities are all valid, but it is important to realize that admission officers want to see commitment and leadership in its applicants. This requires continuous participation in a few extracurricular activities, along with assuming leadership roles. Thus, commitment and leadership within extracurricular activities can set a prospective student apart and increase his/her chances of acceptance to a prestigious Ivy League institution. In the same way, admission officers use SAT scores to further evaluate applicants. The SAT makes up the fourth admission factor. This seemingly difficult test is used, not only for incoming freshmen, but for transfer students as well. In fact, one’s SAT scores can set a student apart from the other applicants. However, if a student performed poorly on the SAT, then his chances of transferring may significantly suffer. This is because Ivy League schools still rely heavily on this test. They believe that the SAT can predict a student’s academic performance in college. Yet, how can Ivy League schools justify a student that did poorly on the SAT and currently has a 4.0 college GPA? They cannot. I am a perfect example of this, seeing that I did not have a high SAT score but I do have a 4.0 college GPA. In addition to this, my research has reassured me that most universities are beginning to steer away from using SAT scores. This is because of concerns about fairness and their inability to accurately predict success in college (Freedman 158). Although this is true, SAT scores are still important to admission officers from Ivy League universities. Since there is little one can do about his SAT scores, a prospective Ivy League applicant should concentrate on factors which are alterable. One such factor is based on letters of recommendation. Letters of recommendation may sometimes be overlooked, but “there are cases when a recommendation can make the difference between acceptance and rejection” (Freedman 148). This fifth admission factor allows Ivy League universities to, not only determine an applicant’s personality, but his potential as well (“What You Should Know Before You Apply”). Yet, not every letter of recommendation is the same. According to Freedman, the best letters of recommendation come from professors that know the applicant well (149). In other words, professors that lecture classes with over one hundred students are not valid candidates for receiving a letter of recommendation from. On the other hand, professors that lecture smaller class are excellent sources for letters of recommendation because they know an applicant’s personality and capabilities better than professors teaching large lecture halls. In addition, a letter of recommendation from an English or Math teacher can make a stronger impact than one from an Art teacher (“What You Should Know Before You Apply”). This is because English and Math are considered more challenging than Art, and thus, a more challenging course allows one to live up to his/her potential. Although letters of recommendation are decisive for admissions, the sixth admission factor may very well decide where a prospective Ivy League student applies. Not every Ivy League school is the same. For instance, the University of Pennsylvania has one of the strongest business schools in the world, while Cornell’s main specialty is architecture (“Colleges, Schools, and Faculties”). Knowing this, it is important to thoroughly research not only the school, but also its respective programs of interest. The decision of which school to apply to can be made based on the majors offered at each institution, and equally important, the transfer acceptance rate of each Ivy League school. While conducting my research, I stumbled upon Ellen Gamerman’s table of transfer acceptance rates. With this information, I noticed that Cornell has the highest transfer acceptance rate in the Ivy League with 16.2%. In contrast, Harvard has the lowest with only 5.9%. The decision of where to apply may vary from student to student, but this is normal because every person has goals which cannot be achieved within the walls of every single Ivy League institution. Nevertheless, it is essential to know where you have the best chances of getting accepted. This knowledge can significantly increase an applicant’s overall chances of transferring into the Ivy League school of choice. Similarly, the decision of when to apply can also increase an applicant’s chances of admissions. When one applies is the seventh admission factor. Some college students apply during their freshman year, while others apply during their sophomore year. The decision of when to apply largely depends on the university of choice, prerequisite courses, and academic standing. According to University of Pennsylvania’s Wharton School of Business, it is easier for a student to gain admission as an entering sophomore, instead of as an entering junior. However, there are prerequisite courses required before applying to Wharton. As an entering sophomore, the applicant must have completed one semester of Calculus, Microeconomics, Macroeconomics, or a course that combines both Micro and Macro Economics (A Guide for Transfer Students 2007-2008 6). These are the prerequisites for the University of Pennsylvania’s School of Business; therefore, other majors and other Ivy League universities might have different requirements. Deciding when to apply also depends on academic standing. This means that one’s high school transcripts and SAT scores will be important factors of transferring. Although this is true, if an applicant performed poorly in high school and on the SAT, then the best way of increasing the chances of admission is with strong academic growth in the student’s respective college, and then, that applicant should apply during his sophomore year of college. However, if one did well in high school and on the SAT, then he stands a better chance of gaining admission if he applies during his freshman year of college. All in all, an applicant’s individual situation may vary, but knowing when to apply can help a four-year university student reach the Ivies. In addition to deciding when to apply, a prospective Ivy League student should also be aware of the eighth admission factor. The application essay can offer admission officers a preview into an applicant’s personality. In other words, “if you don’t go through an interview, the essay may be your only chance to display your personality and way of thinking in your own words, without the filter of a transcript, fill-in-the-blank application, or recommendations from past instructors” (Freedman 142). Simply put, the essay can either set a student apart or bore the admission officer to death. According to Freedman, the best way to make an impact with one’s essay is by showing, not showing off (142). This requires an applicant to write in such away that he does not come across as showing off his accomplishments. Writing in a humble manner can be difficult, but if done correctly, one can significantly impress any admission officer. In sum, the application essay is as important as any other previously mentioned factor. However, the ninth, and final admission factor may not be as important for everyone. Many Ivy League, and private institutions in general, consider alumni-legacies as an important admission factor. According to Thomas Espenshade, ten to fifteen percent of students attending an Ivy League school were admitted primarily because of their parents’ alumni status (1). This is an important factor to consider if one is lucky enough to have parents that graduated from Ivy League universities. However, most applicants are not lucky enough to have graduates of Yale or Dartmouth as parents. For this reason, this is the least important admission factor. Whether or not one is consider an alumni-legacy makes up the last admission factor; therefore, it is now time to combine each factor in order to create a logical approach towards the application process. To begin, there are factors that one can control and ones that are unalterable. This goes without saying, but one’s high school transcript, SAT scores, and whether or not an applicant is considered to be an alumni-legacy are factors which one cannot alter. On the other hand, one’s college transcript, extracurricular activities, letters of recommendation, choice of where and when to apply, and the college essay are all factors that an applicant can control. With these factors in mind, the first thing a student must do in order to increase his/her chances of transferring to an Ivy League school is work hard to earn a college GPA above 3.5. As I mentioned earlier, eighty percent of Ivy League transfer students that took my online survey had at least a 3.5 college GPA before applying to their respective schools. In addition, a strong college GPA becomes even more important if one’s high school GPA is below average (GPA lower than 3.0). To further increase one’s chances of acceptance, an applicant should participate in extracurricular activities. Contrary to popular belief, participation in extracurricular activities does not mean showing up for a meeting or two. Instead, one needs to show consistency by attending meetings on a regular basis, year after year, and striving to become presidents of the extracurricular activities one participates in. The next part of this logical approach is receiving outstanding letters of recommendation. To do so, one is encouraged to attain these letters from instructors that know the student well. An impressive letter of recommendation can make the difference in an admission officer’s decision to admit or reject an applicant. Upon receiving strong letters of recommendation, one must decide which Ivy League school to apply. This factor is based on individualistic goals and aspirations, but it is also based on the transfer acceptance rate of each Ivy League university. 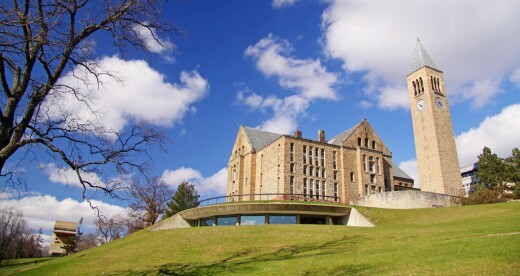 Therefore, applying to Cornell, which has a 34.9% transfer admission rate rather than Brown, which has a 34.4% transfer admission rate can surely increase the probability that an applicant gains admission (Gamerman 1). Next, it is important to decide when to apply. If an applicant has a strong high school GPA along with impressive SAT scores and a college GPA above 3.5, then he should apply during his freshman year of college. However, if an applicant has a low high school GPA along with less than stellar SAT scores but somehow has a college GPA above 3.5, then he should wait a year and apply as a sophomore. Finally, it is vital that one invests plenty of time and effort in the college essay. This means writing, re-writing, revising, revising, and more revising. The college essay can showcase an applicant’s personality, while setting him apart from the mass pool of applicants; however, it is not an opportunity to show off one’s achievements. 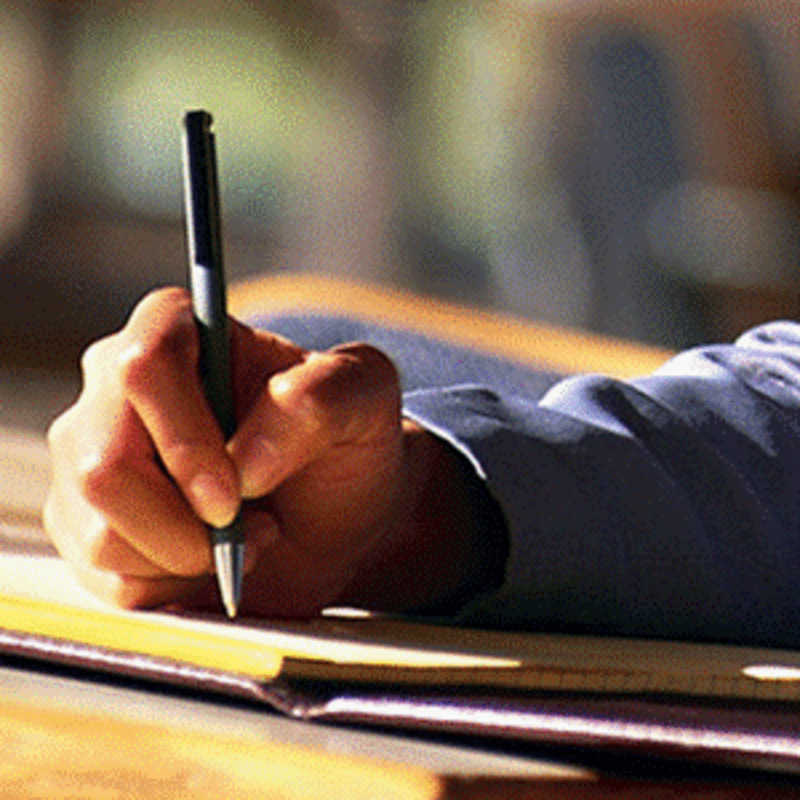 Writing an outstanding college essay makes up the last part of this logical approach towards the application process. If followed correctly, one can significantly increase his chances of transferring to the Ivy League school of choice. Transferring to an Ivy League university is one thing, but paying for its pricey tuition can intimidate any incoming transfer student. When worrying about paying for an expensive Ivy League education, it is important to understand the financial plans offered by many of these universities. For instance, Harvard University announced that they intend on paying full tuition for any incoming student that belongs to a family which makes less than sixty thousand dollars a year (Pluviose 30). Similarly, Cornell has a Pathway to Success program. This program has an eight hundred thousand dollar fund, which is used as scholarship money for students that cannot afford to pay for an Ivy League education (Pluviose 31). According to David Pluviose, the author of, “A Pathway to Success,” Ivy League schools are happy to pay for their students' tuition because of their multi billion dollar endowments, and also because they want their students to graduate debt free (2). This is fantastic news for incoming transfer students, because money is no longer an obstacle standing in the way of attending an Ivy League university. In conclusion, understanding the nine admission factors, along with combining each factor to create a logical approach towards the application process, can increase your chances of transferring to an Ivy League university. However, although it is possible to increase your chances of admission, it is important to understand that there is no magic formula for transferring to an Ivy League school. The only thing an applicant can do is to identify the admission factors that he or she can work on and to not worry about the ones that are out of one's control. With this knowledge, a prospective Ivy League student may evaluate his individual situation and plan a logical approach towards transferring into the Ivy League school of choice. Once admitted, the transfer student can finance his or her tuition with assistance from the respective financial aid plans offered by the university in question. In any event, transferring to an Ivy League school can be a stressful yet highly rewarding process. This process will involve a change of environment, of people, and of perspective. Freedman, Eric. How to Transfer to the College of Your Choice. Berkeley: Ten Speed P, 2001. Gamerman, Ellen. "College Admissions: the Sequel." The College Journal 31 Oct. 2006. 22 Feb. 2008 <http://www.collegejournal.com/aidadmissions/newstrends/20061031-gamerman.html#CHART>. "What You Should Know Before You Apply." The Princeton Review. 22 Feb. 2008 <http://www.princetonreview.com/college/apply/articles/process/appprimer.asp>. Pluviose, David. "A Pathway to Success." Diverse: Issues in Higher Education Feb.-Mar. 2007, sec. N: 30-33. ERIC. Helmke, Fort Wayne. 29 Feb. 2008. Ivy League-Transfer Students. Online survey. 19 Mar. 2008. "Harvard Romanian Association." Harvard. Harvard U. 11 Apr. 2008 <http://www.hcs.harvard.edu/~hra/>. "Admissions Online." Columbia. Office of Undergraduate Admissions, Columbia U. 11 Apr. 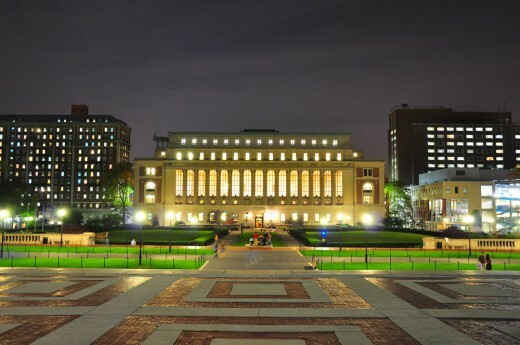 2008 <https://admissions.columbia.edu/?s%.5Fid=97dc39b69a5c5fb290ba7&p%.5Fr%.5Fid=5a81a7357119ccddc6455&p%.5Ft%.5Fid=1&athn%.5Ftype=session&jsenabled=true&jsversion=1&jsrelease=3&vbsenabled=false&vbsversion=0&vbsrelease=0&tran%.5B1%.5D%.5Ftran%.5Fname=adol&tran%.5B1%.5D%.5Foutput%.5Ftype=html%.5Fnscp4>. A Guide for Transfer Students 2007-2008. Philadelphia: The University of Pennsylvania, 2007. "Transfer Admission Announcement." Harvard. Department of Undergraduate Admissions, Harvard U. 11 Apr. 2008 <http://www.admissions.college.harvard.edu/prospective/transfer/index.html>. "Colleges, Schools, and Faculties." Cornell. Cornell U. 11 Apr. 2008 <http://www.cornell.edu/academics/colleges.cfm>. Lillard, Dean, and Jennifer Gerner. "Getting to the Ivy League: How Family Composition Affects College Choice." The Journal of Higer Education 70 (1999): 706-730. Academic Search Premier. EBSCO. Helmke, IPFW. 9 Mar. 2008. <http://web.ebscohost.com/ehost/detail?vid=4&hid=109&sid=4ff23955-bed5-4de7-88bc-ec85bb873c2f%40sessionmgr103>. Lawler, Peter A. "Grade Inflation, Democracy, and the Ivy League." Perspectives on Political Science 30 (2001). Academic Search Premier. EBSCO. Helmke, IPFW. 18 Mar. 2008 <http://web.ebscohost.com/ehost/detail?vid=16&hid=2&sid=038a506b-fbbb-4bb0-b167-dafead445b7e%40SRCSM2>.